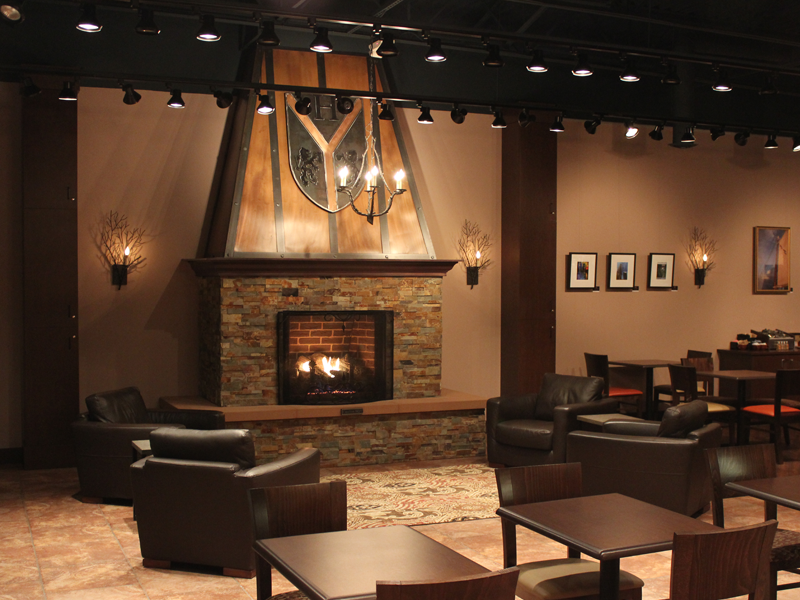 Here at Hearthstone Coffee House & Pub, this large scale hearth creates a focal point to re-enforce the business brand. It creates a welcoming nook for customers to enjoy a cup of coffee or beer. A grouping of leather chairs and sturdy tables surround a modern patterned carpet.